Nice selection of old coins, currency and stamps from New England estates and old households. 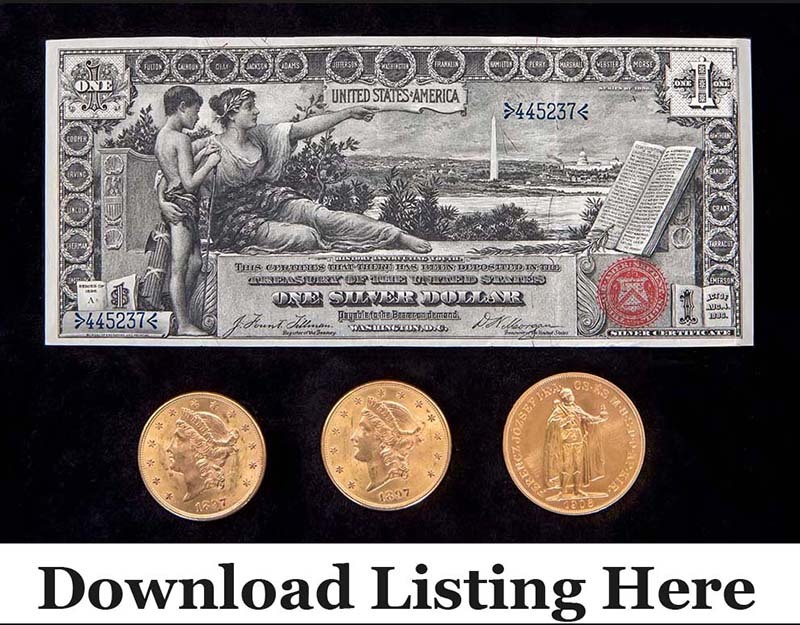 Highlights include numerous U. S. gold coins, GSA Carson City silver dollars, 1896 Educational $1.00 and a good grouping of older medals, including Masonic. Nice assortment of U. S. and World stamps and postal history. TELEPHONE BIDS: Phone Bids close on Thursday, November 19th at 6:00p.m (the day before auction). ABSENTEE BIDS: Absentee or Left bids close at 4:00p.m. on auction day.